Running on the beach! 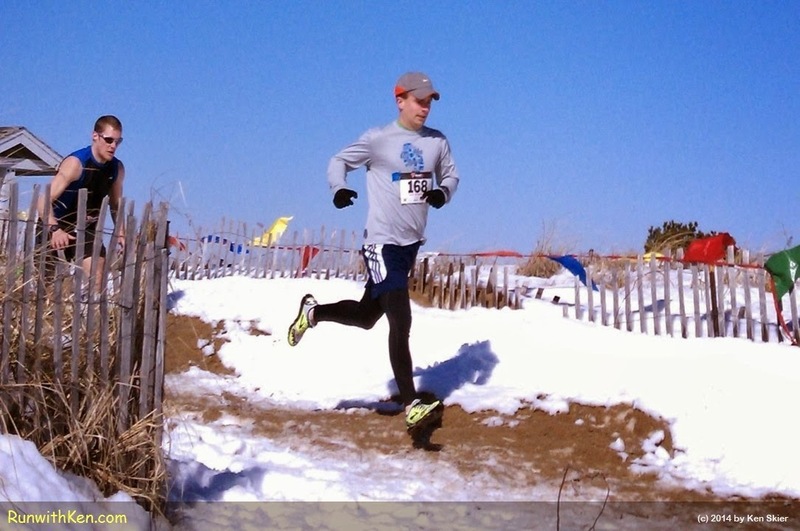 FLYING over sand and snow at the Frosty Knuckle 5K in Salisbury, MA. from the start line to the finish. Or perhaps you run the whole race on a trail. and then a little over a mile on the beach. Yup. A beach run...in February! as he leaps onto the beach.